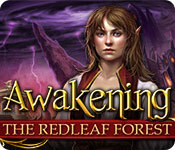 Need an Awakening: The Redleaf Forest Walkthrough to guide you through the final stage of Queen Sophia's epic journey? Well you're in luck because we've got one! Trust our detailed instructions, custom marked screenshots, and solutions to all the puzzles you'll encounter as you help Sophia forge the Blade of Courage, defeat the evil Dreadmyre, and rescue her parents! It's here at last! The final chapter (or so they say) of Queen Sophia's journey - Awakening: The Redleaf Forest. Here we find Queen Sophia heading toward the Redleaf forest in search of the centaur smith who can help her forget the only weapon that can have any chance of defeating Dreadmyre - the Blade of Courage! Of course, things aren't that easy, and after falling from the sky after an ogre throws a boulder at her, she's going to have to rely on her wits and her friends to see her through to the end of this perilous journey. Lucky for you and Queen Sophia, we've got just the thing to help - an Awakening: The Redleaf Forest Walkthrough! As soon as this latest Awakening game came out, we rushed to play it, and we're adding the chapters of the Awakening Walkthrough as we complete them. We already have four chapters uploaded and more are on the way! We're being extremely detailed, providing you with detailed directions and screenshots so you'll know everything you'll need to do in order to progress through the game. 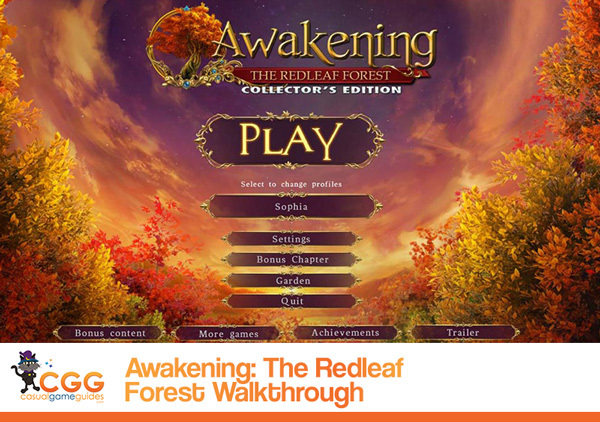 So if you find yourself stuck or unsure of what to do next, take a look at our Awakening: The Redleaf Forest Walkthrough for tips and advice!